A new month means it’s time to share what is in our Brain Box for the month! This is our third month with using our Brain Box and it’s so nice to have our main resources for the month so handy. 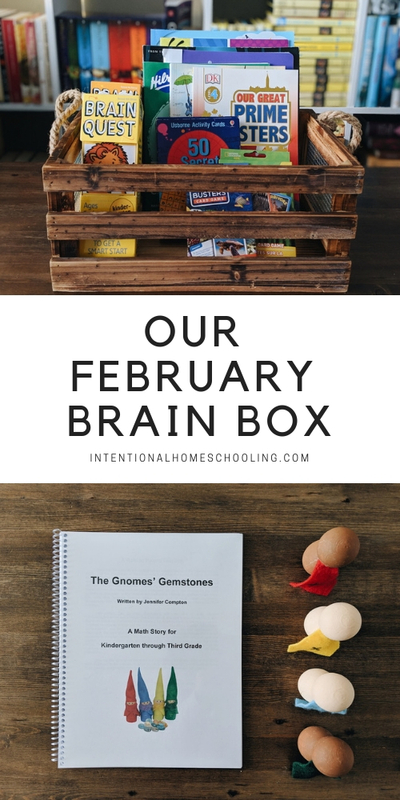 If you missed the previous months you can also check out our January Brain Box and December Brain Box. 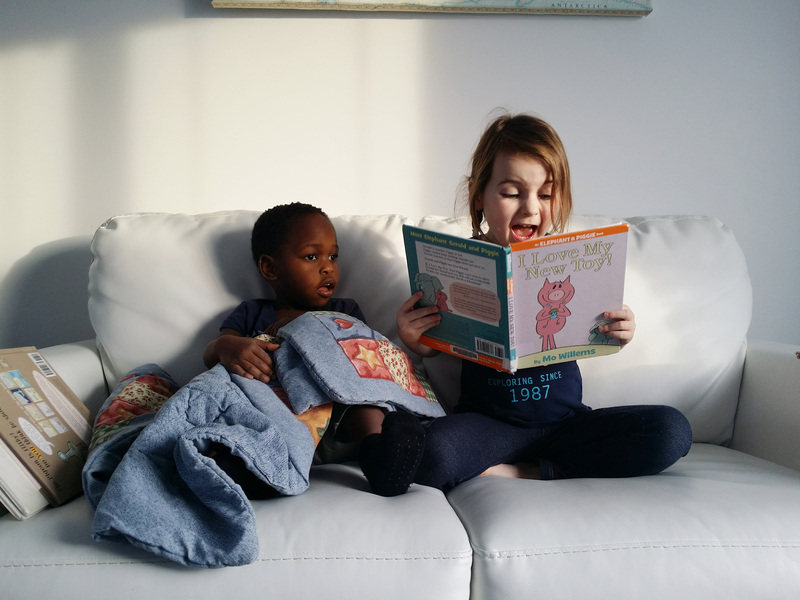 I feel like this month we have been getting back to the basics and really simplifying our homeschool. 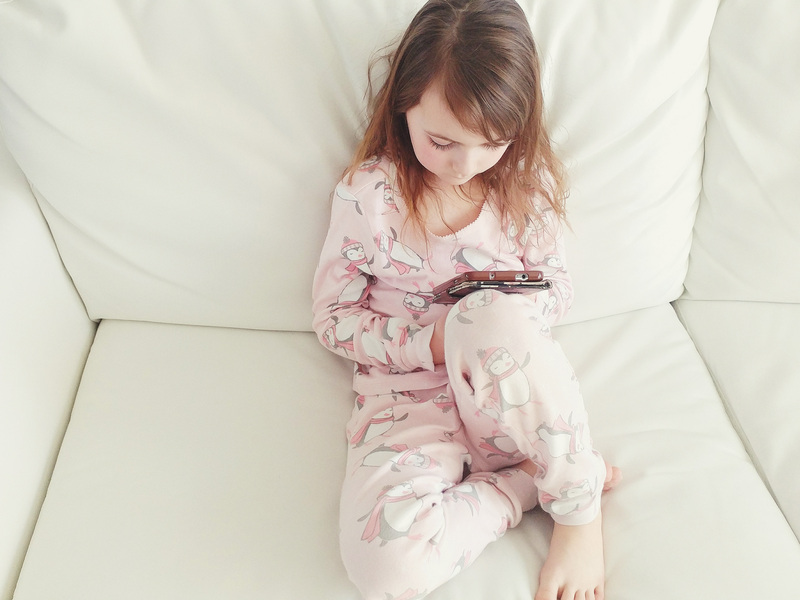 I know I’ve written a few posts in the past about minimalist homeschooling (or at least one), I’ve been meaning to share an updated post on the topic, hopefully in the next couple of weeks! I put some card packs in our box again this month, the ocean life and food chain one I got from the Dollar Tree. Raeca has been really into secret codes lately so I pulled out our Usborne pack of secret codes that you use dry erase markers on and they can be used again and again. 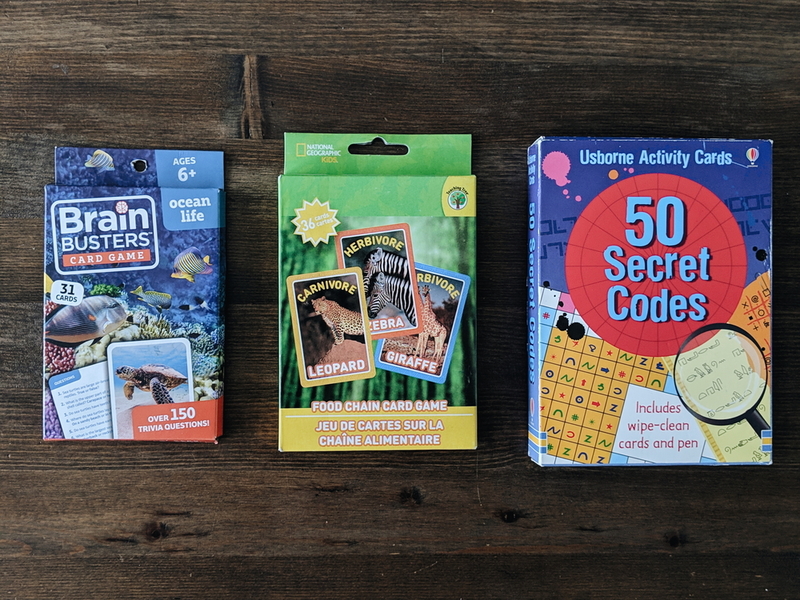 I bought the Secret Codes pack years ago and it doesn’t look like they make them any more which is too bad, they are also great for bringing in a vehicle or if you know you’ll be sitting in a waiting room for awhile. I once again included the Prime Ministers book in this box, I am hoping we can memorize the order of the Prime Ministers (aiming for 5 a month) but to be honest, I haven’t been good at being diligent with that so far. 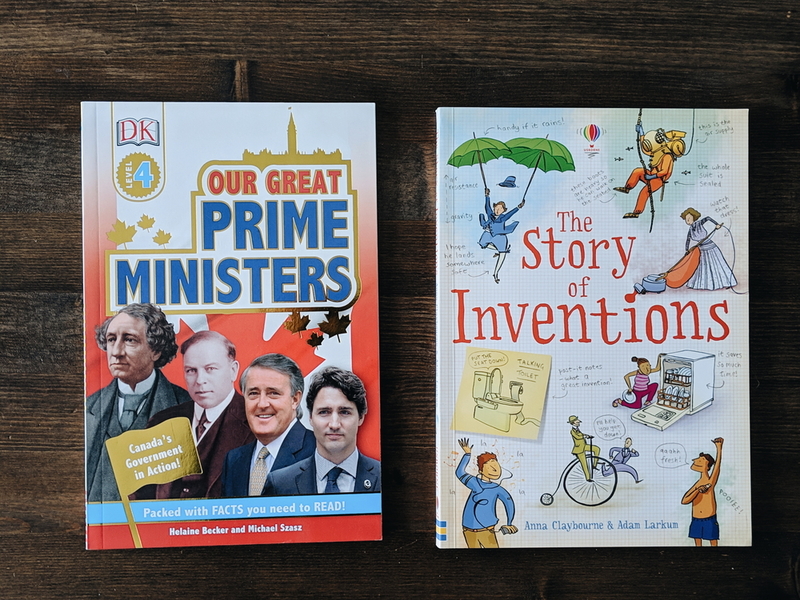 I also included The Story of Inventions because the kids have been fascinated by inventions for the last few weeks and this is a great little book. 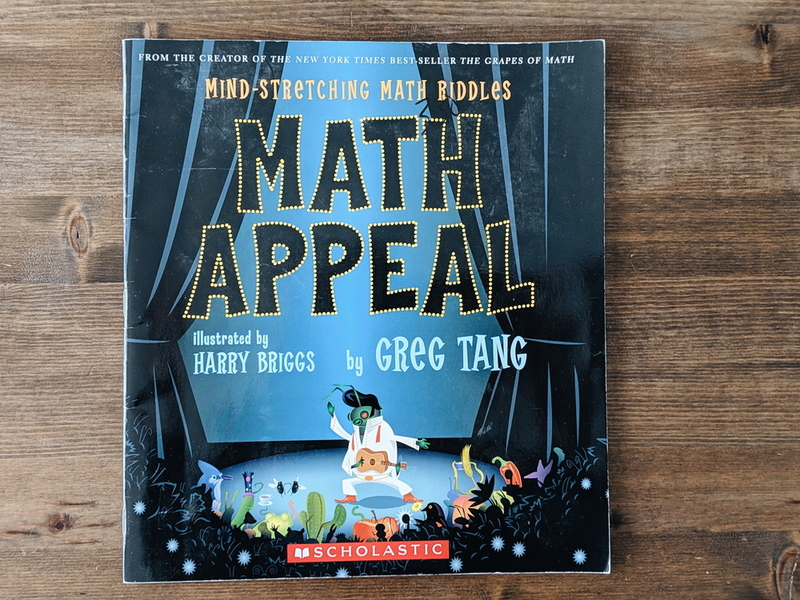 We once again have a Greg Tang book, this time it’s Math Appeal. I really enjoy going through the riddles and solving the math problems and the kids do as well. 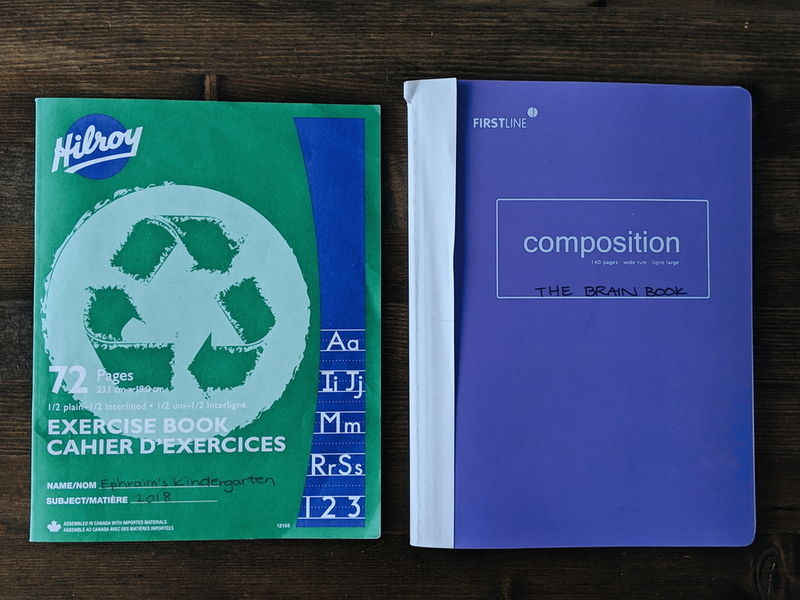 Basic composition books have been the spine of our minimalist homeschool this month. Composition books are actually my personal favorite notebooks to write in and so it makes sense to use them with the kids too. Since Ephraim is in kindergarten he uses the one where the top half of the page is blank (for drawing a picture) and the bottom half is lined. 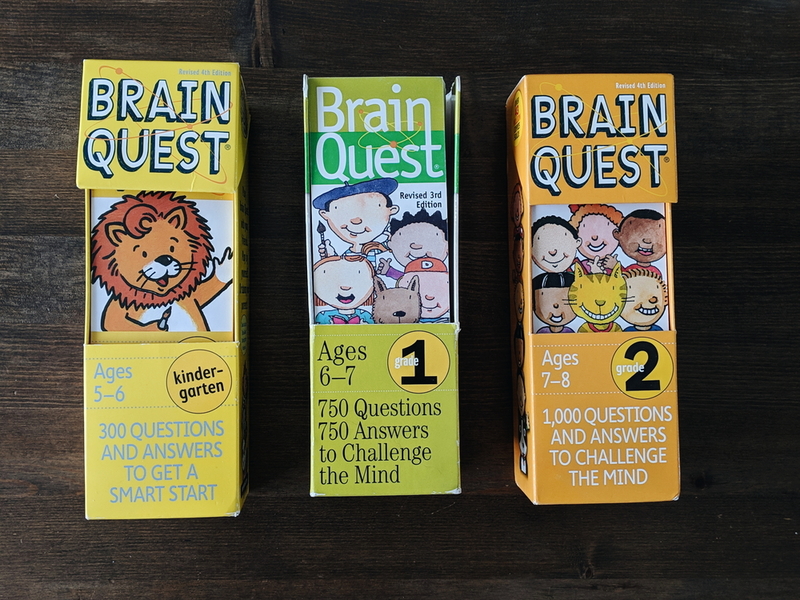 Brain Quest Cards – (I just realized I forgot to include the grade 3 cards in the picture, oops!) Ephraim finished the kindergarten pack already and has moved on to grade one, Raeca is on the grade 3 one. 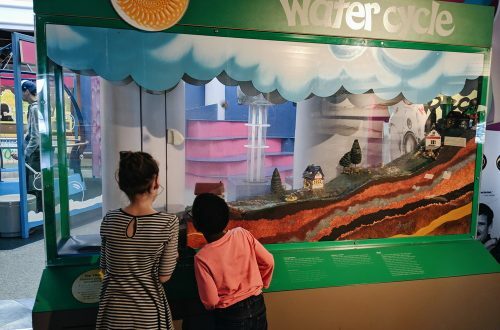 I enjoy going through these with the kids, it’s a great way to get an overview on a lot of topics and see if there are certain areas where we need to spend more time on. My only complaint is that as we get into the older grades there is more and more American based questions, which, if we were American I bet would be great but since we are Canadian it is a bit annoying. For the most part I just try to think of the Canadian equivalent of the question. But I’m not sure if we will continue to buy the packs, if anyone has an alternative or any suggestions I would love to hear them. I forgot to include this in my January post but Raeca has been reading a chapter of her Bible every day this year. We got her this Bible right after Christmas and I think it’s a great one for her age (she’s 8). 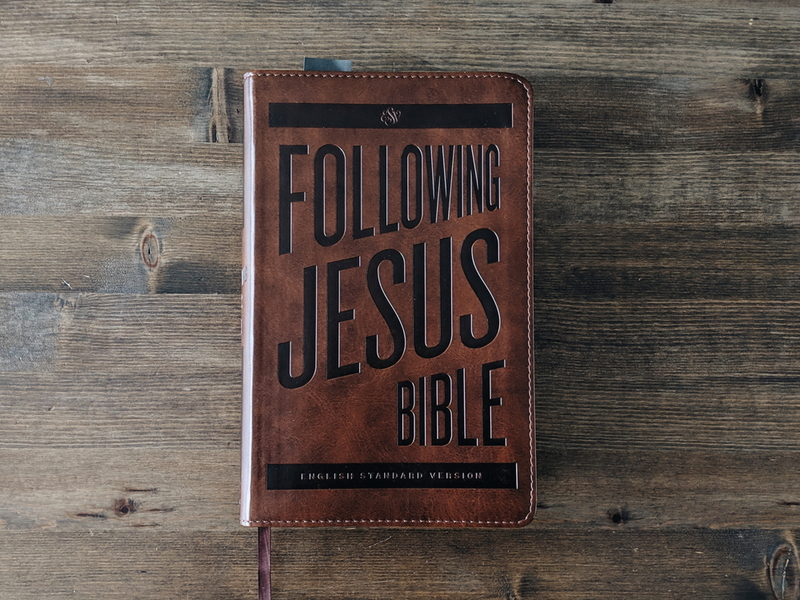 One of our pastors created a condensed Bible reading plan where the major stories/chapters are read and that is what she is following. 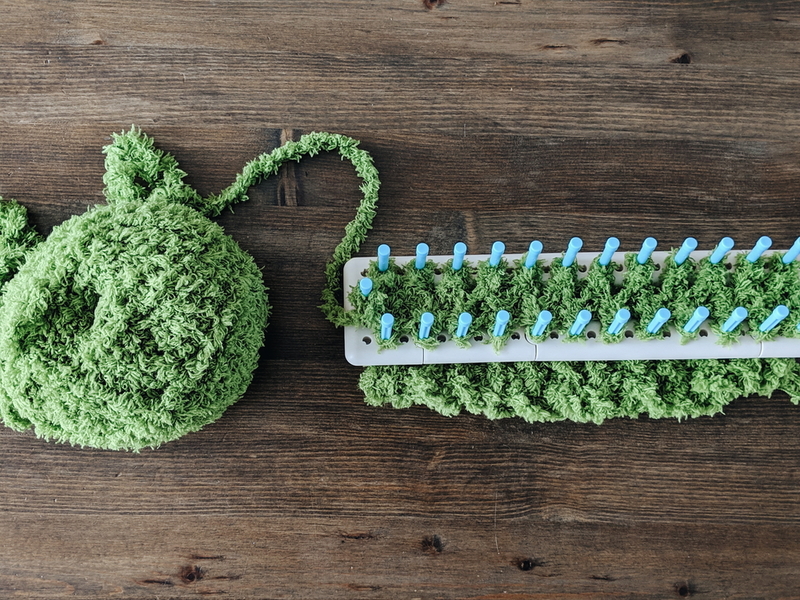 Raeca has also been loom knitting. She doesn’t really like projects that take an extended amount of time but I’m trying to get her to work on it a few times a week. We have a cat so this doesn’t technically get stored in our Brain Box (because yarn = kitty heaven), but I still consider it part of the box. We have this loom that can be made into more than 30 different configurations, from square to rectangle to circle. Ephraim has been (pretty much) begging me to go through The Gnome’s Gemstones with him. We got the ebook in one of the previous Intentional Bundle sales and I printed it out and we went through it but then it was more for Raeca’s sake and he was too young, now he’s at the perfect age. Oh, and our “gnomes” ended up being bigger than the suggested size so we improvised and their outfits ended up becoming capes and we now have “superheroes”. 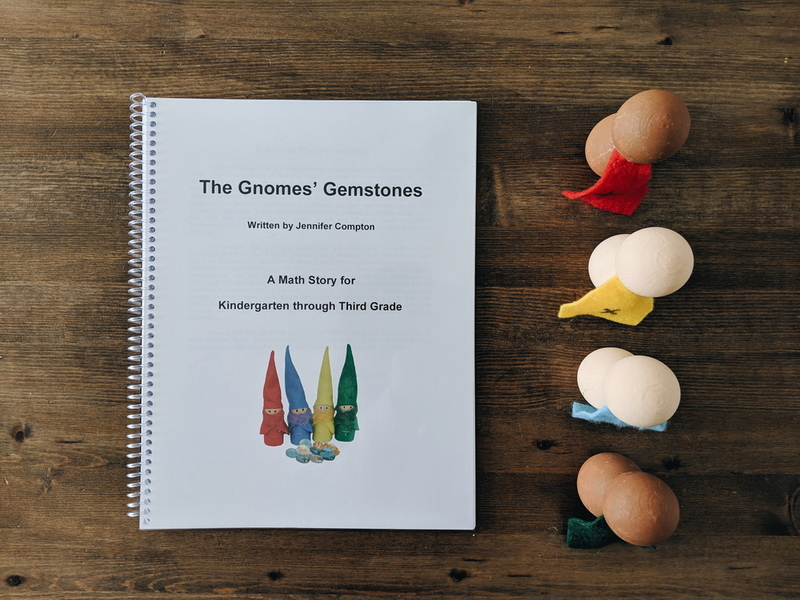 We’ve had a lot of fun with the Gnomes Gemstones book but I would definitely recommend it for preschool and kindergarten, not K-3 like it suggests. 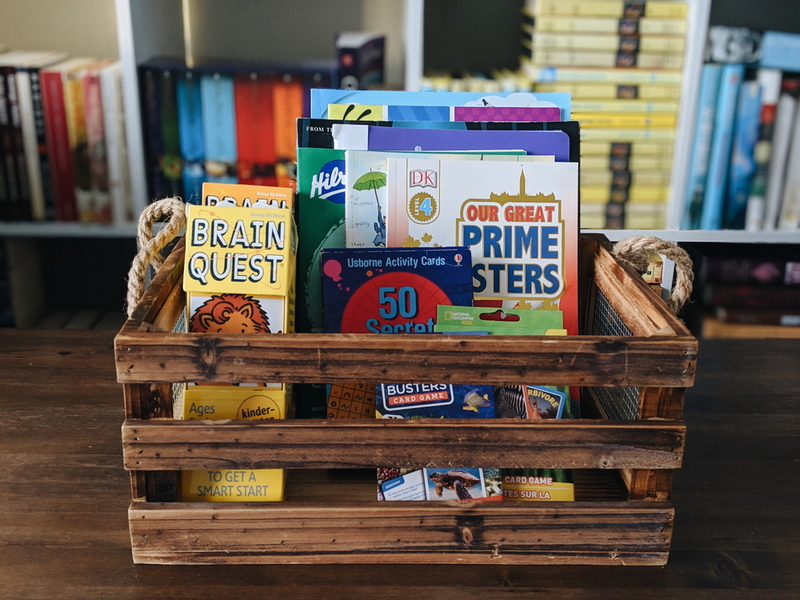 These aren’t actually in our box but I thought it would be fun to share the books I want to read with the kids this month. 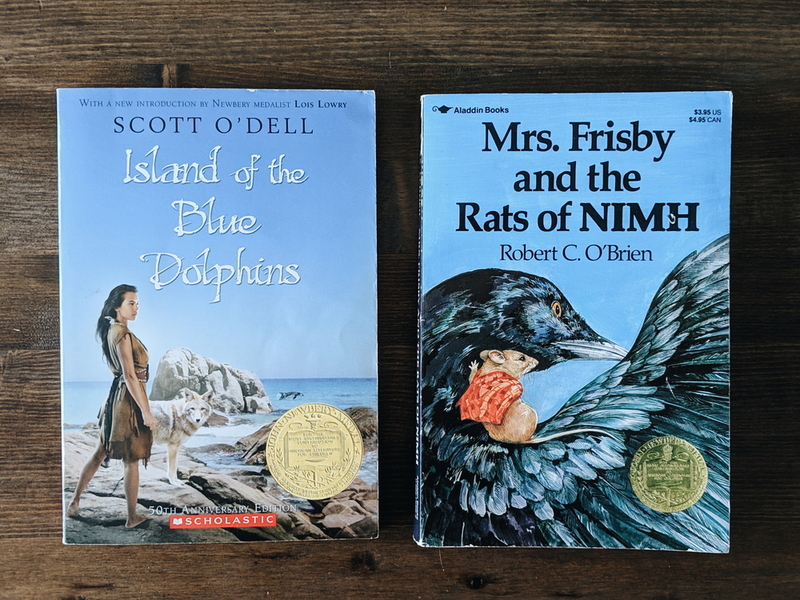 We have already finished Island of the Blue Dolphins (on audio) and are currently listening to Number the Stars (we don’t have a physical copy of this book) and then next we are going to read Mrs. Frisby and the Rats of NIHM. If you are curious about what else we are reading each week you can sign up for the bookish newsletter. And that’s all for this month’s Brain Box. If you have suggestions of what we should include for March’s box I would love to hear them in the comments below!